At Mikki Miles Modern & Medieval Musical Instruments, you'll find an intriguingly broad range of both period and modern musical instruments. Many of the instruments are playable and testable in-store. 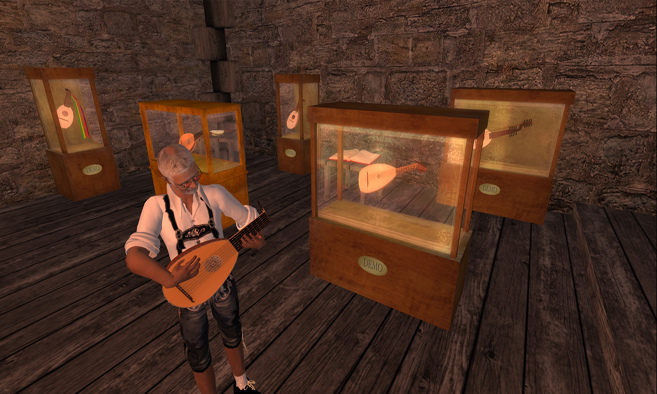 These high-quality instruments are perfect for enhancing role-play or enriching your Second Life experience with wonderful music.